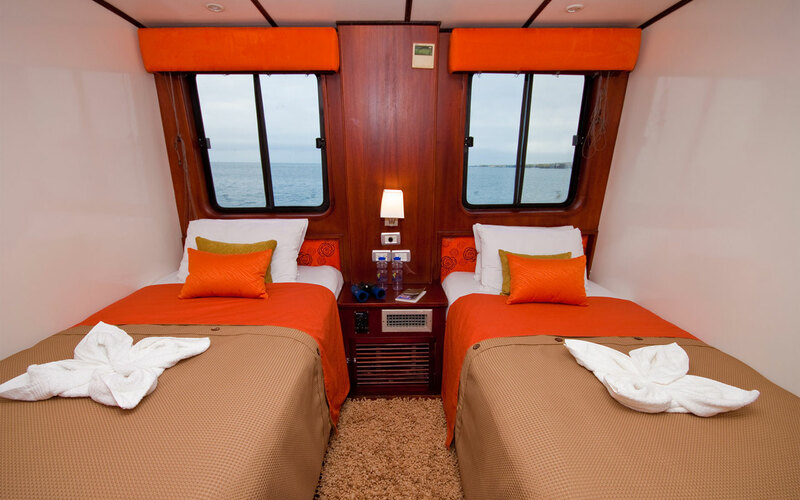 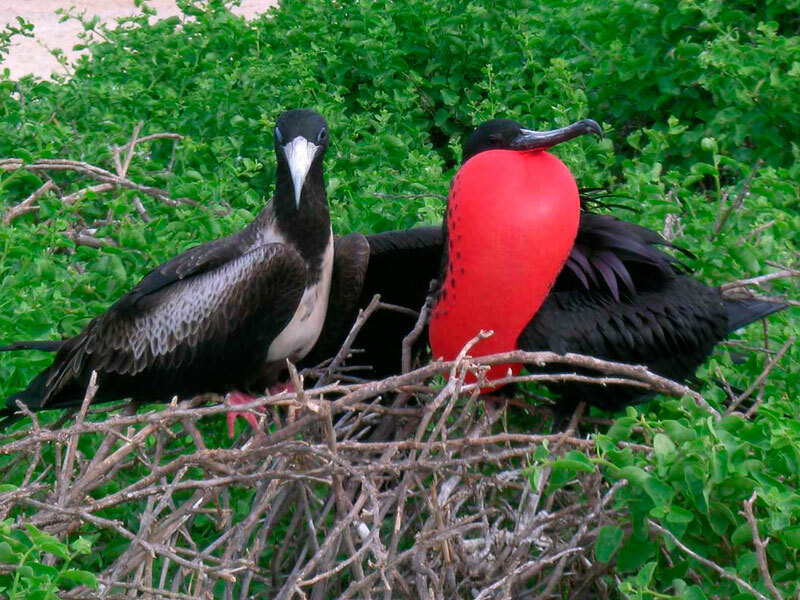 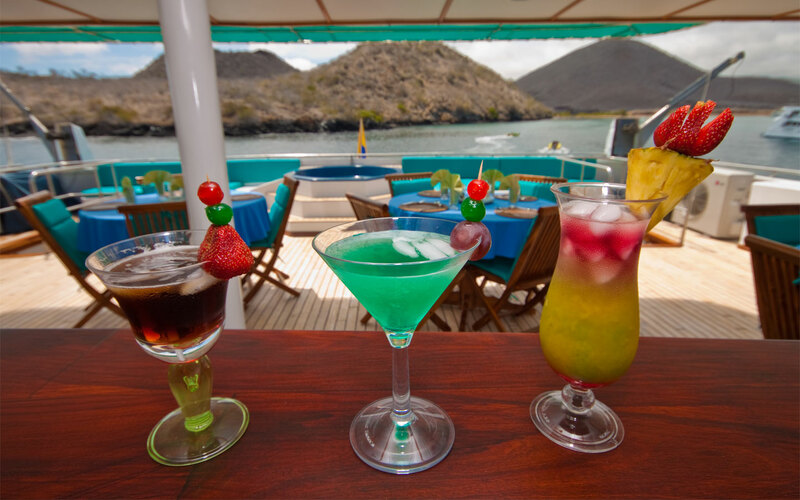 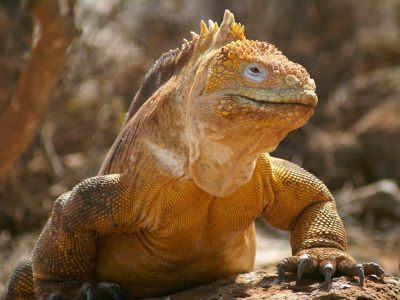 The Galapagos Journey 1 is an intimate catamaran that offers comfort and class while exploring the mystifying Galapagos Islands by cruising. 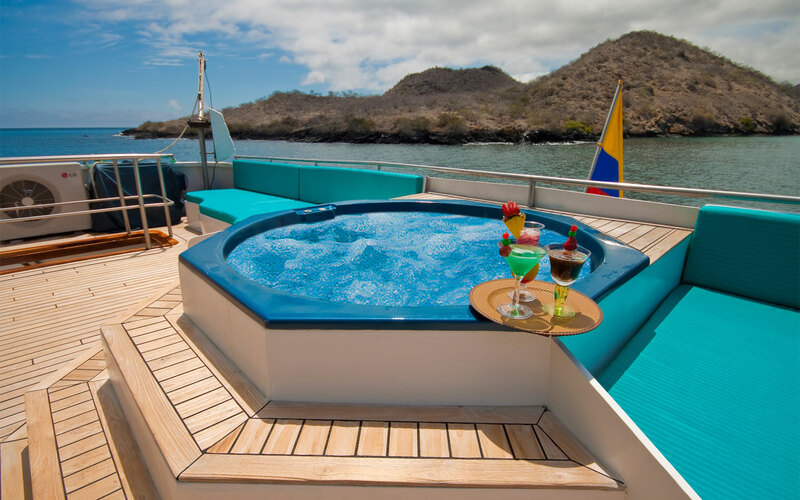 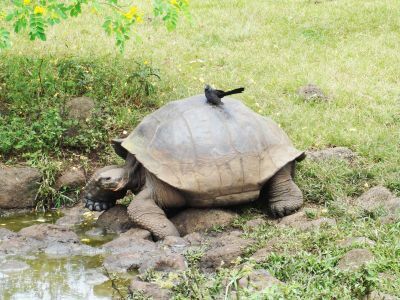 The Galapagos 1 holds 16 passengers, one of the most exclusive fleets available, enhanced with modern amenities and up to date technologies. 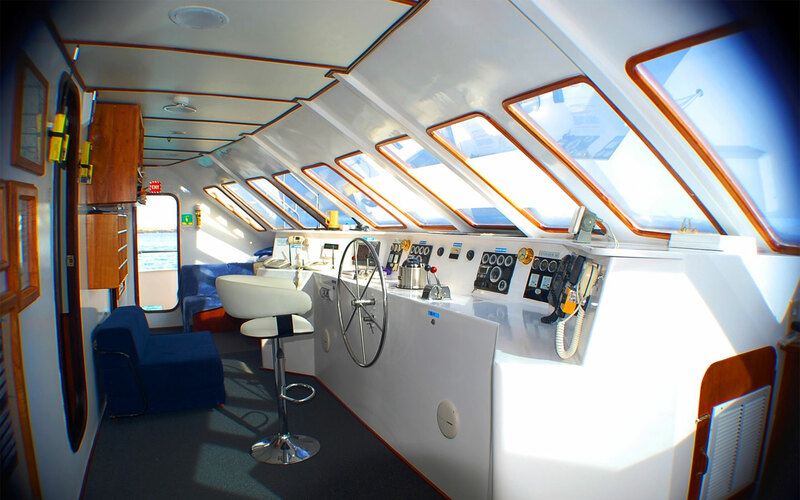 Offers many benefits, as it is built with the consideration of stability and modernization. 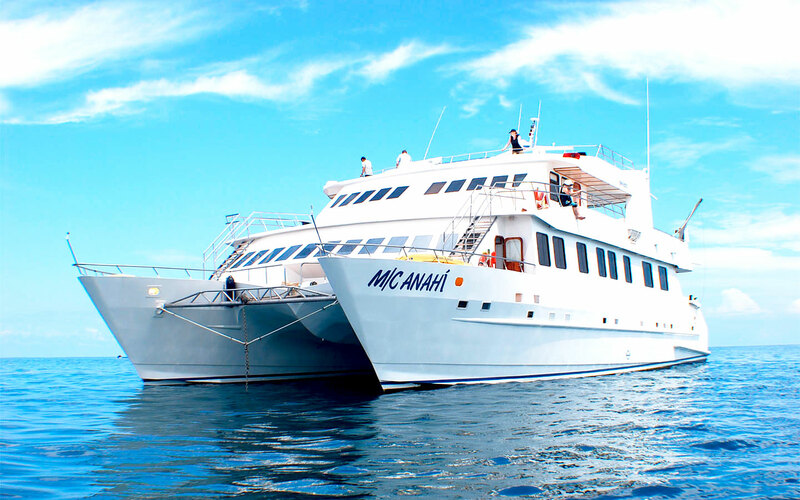 Features comfortable accommodations in 6 twin bed cabins located in the main deck and 2 suit cabins located in the upper deck. 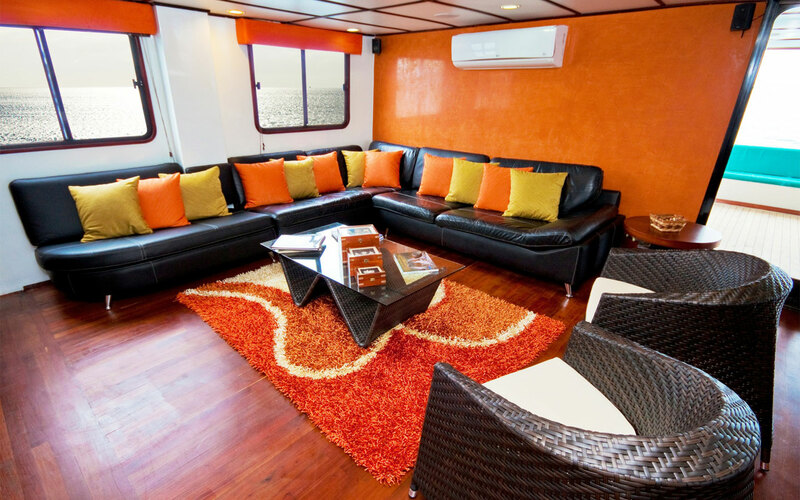 All cabins have private facilities, locker and closet, air conditioned. 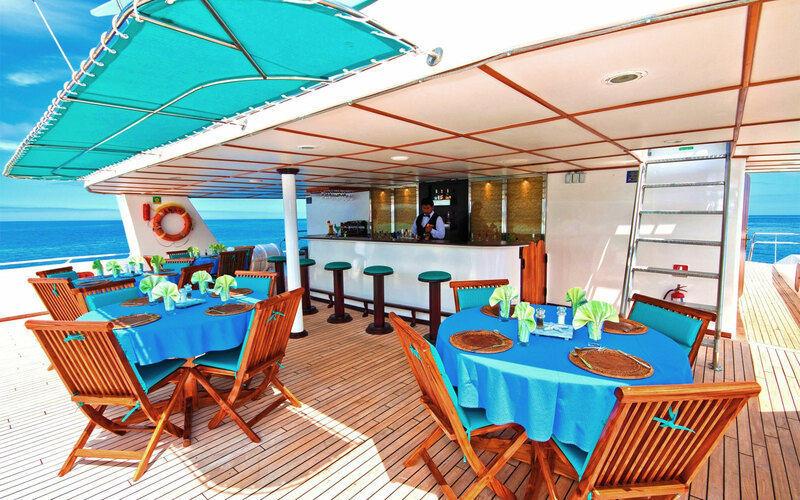 Additionally the boat has ample resting areas, sundeck, library, TV-DVD room, comfortable dinning room, bar and lounge and Jacuzzi. 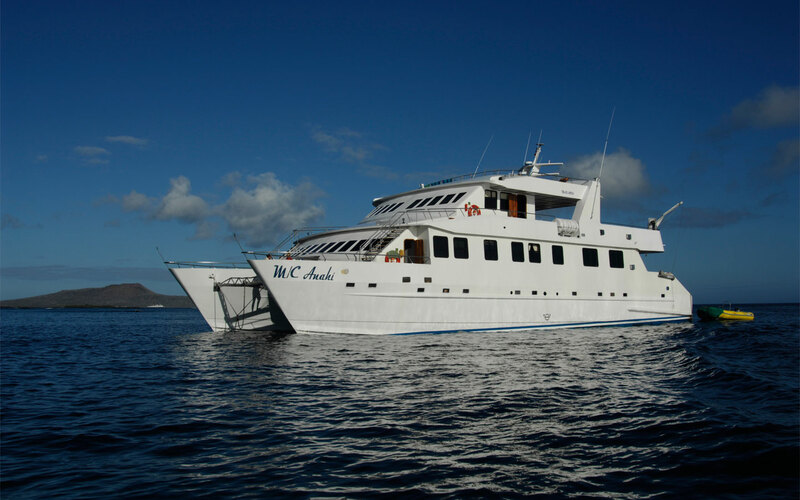 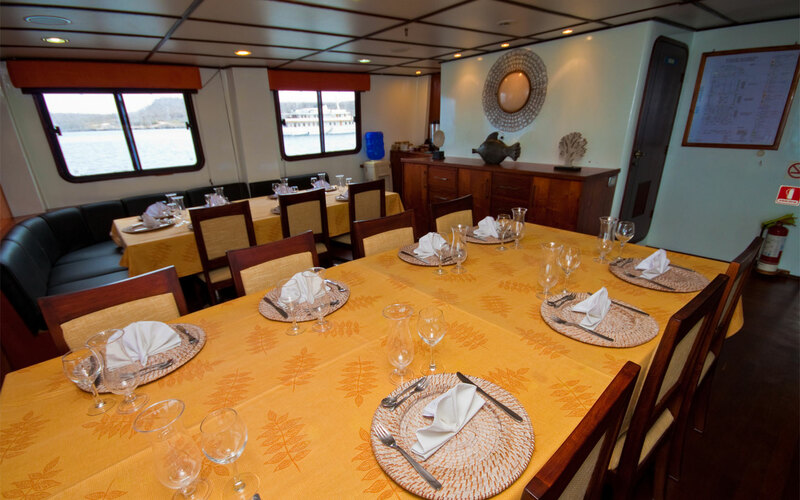 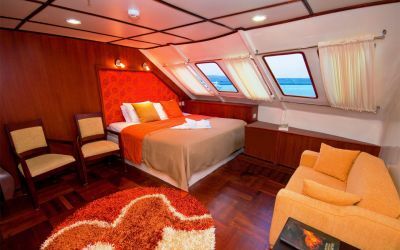 Accommodation: 6 twin bed cabins on main deck and 2 suites on the upper deck. 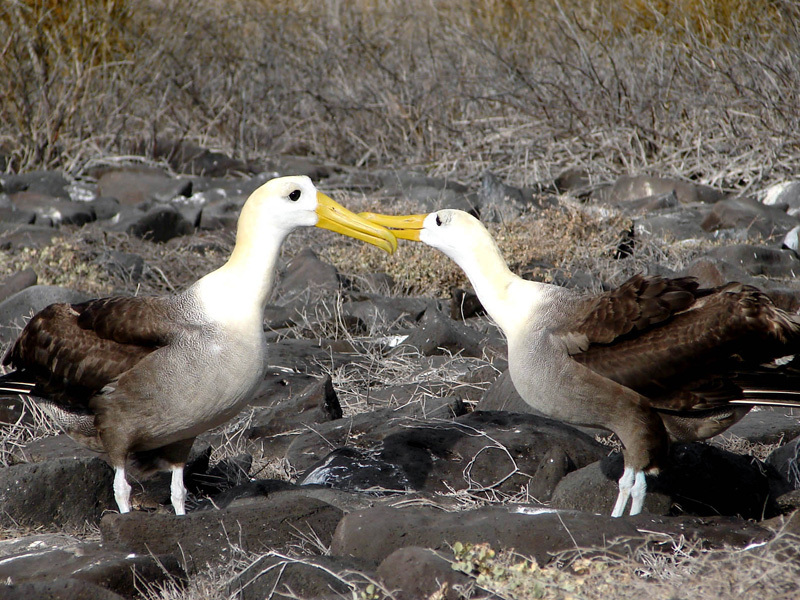 PM San Cristobal: Kicker Rock / Lobos I.
PM San Cristobal: Kicker Rock /Lobos I.